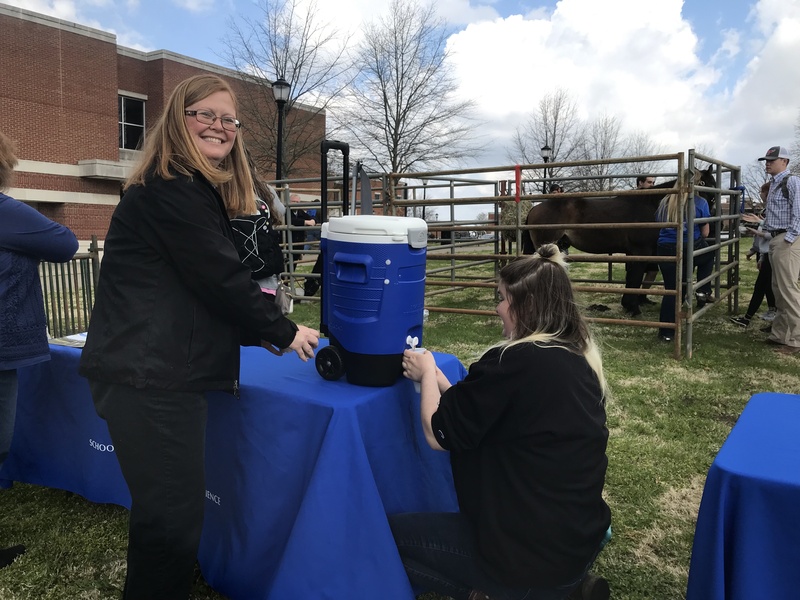 Members of the Middle Tennessee State University’s Block and Bridle chapter held a National Agriculture Day celebration on the lawn of the Stark Agribusiness and Agriscience Center on Thursday in honor of the holiday. 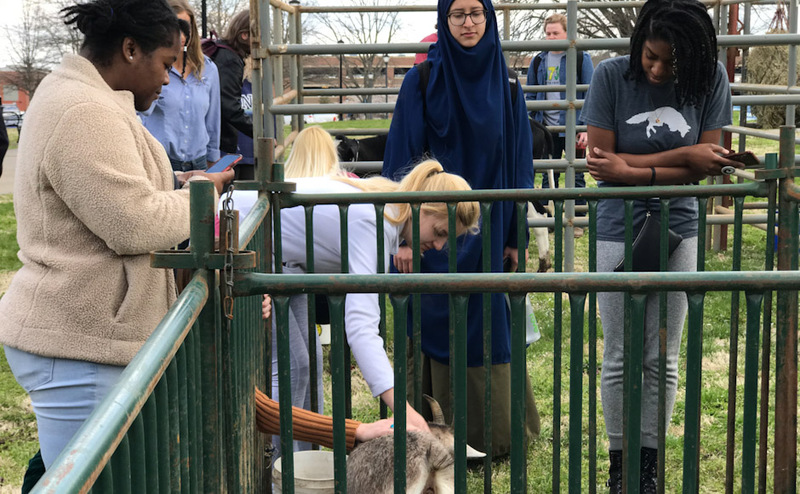 The holiday is formally acknowledged annually across the United States on March 14, but MTSU’s National Ag Day festivities were rescheduled due to inclement weather on campus. 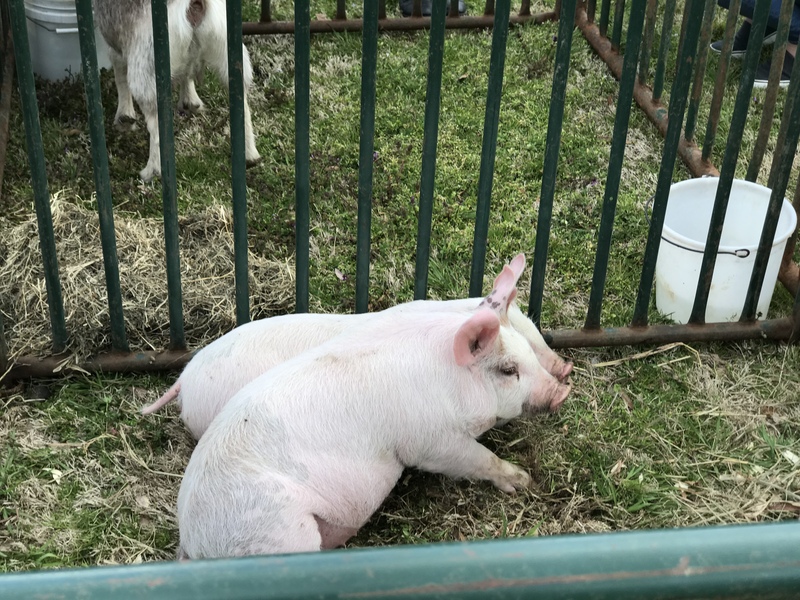 Block and Bridle members provided livestock for the event in order to advocate for the importance of the agricultural industry, as well as the passion that farmers and livestock producers hold for their vocation. Block and Bridle President and Agriculture student Jessi Schriver was proud to speak on behalf of her B&B chapter at the event. Schriver reported that the organization hoped to bring awareness to agriculture and its importance through this event. 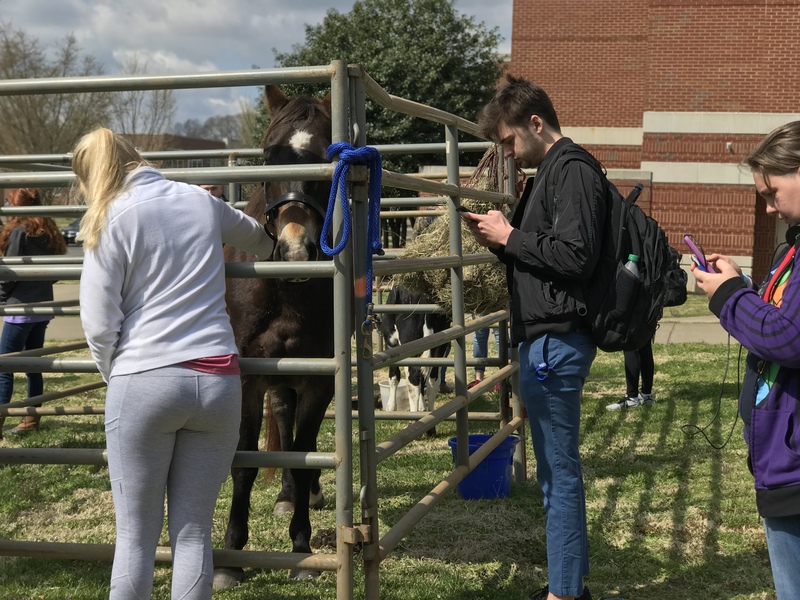 Members of Block and Bridle are also members of a variety of agricultural groups on campus, including Alpha Gamma Rho fraternity and Sigma Alpha Professional Agricultural sorority, but all majors are welcome to join the organization. 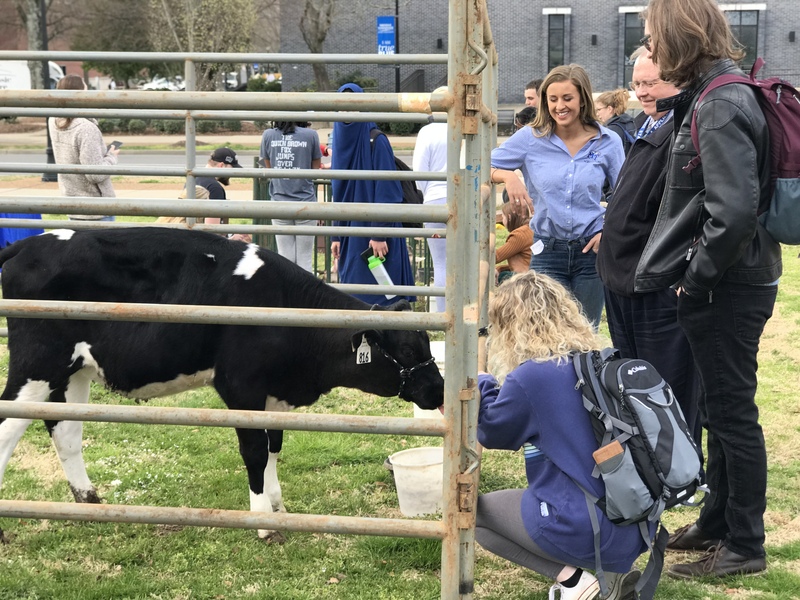 The dean of MTSU’s College of Basic and Applied Sciences, Bud Fischer, was in attendance at the event alongside Department Head Jessica Carter, passing out MTSU milk and informational pamphlets about agriculture in the state of Tennessee. Allison Parker, a Block and Bridle reporter, commented on the opportunity to engage with the student body. 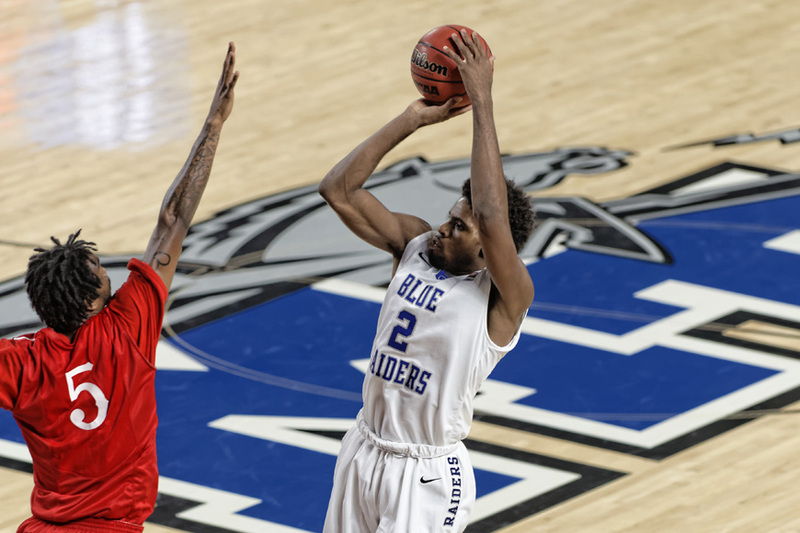 “Being able to celebrate the farmers and agriculturalists and students who are hoping to pursue a degree in this is really awesome,” Parker said. Per the Tennessee Farm Bureau, agriculture contributes approximately $74.8 billion annually in revenue. There are approximately 66,600 farms in the Volunteer State spread across an estimated 10 million acres of land. 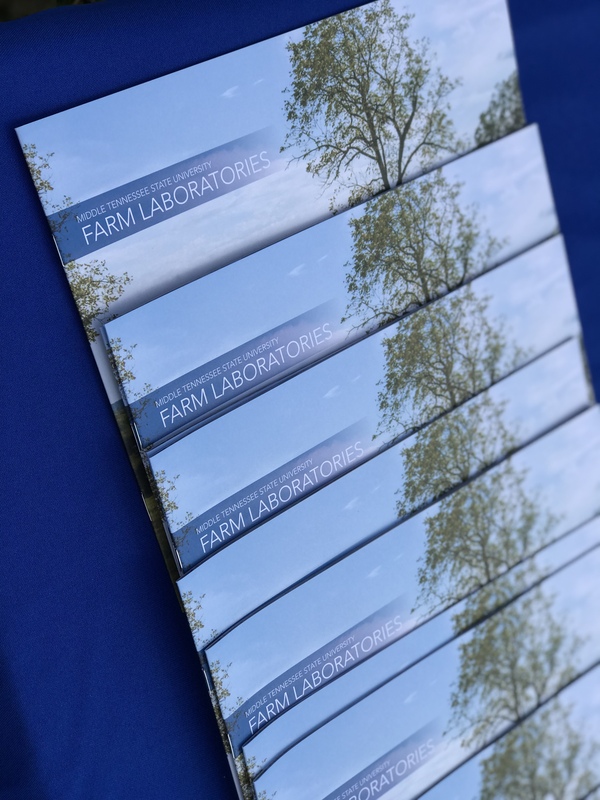 Ninety-eight percent of Tennessee farms are family owned, with 95 percent consisting of small-family operations. The average farm size consists of 162 acres of land. For more information about Block and Bridle on campus, check out their Instagram page @mtsubandb or visit the SAG Center to learn more.